Ricoh Arena operator, main creditor of the club, refused to accept Company Voluntary Agreement, forcing Coventry City into liquidation. The club is on its knees, but this isn't seen as the end by fans. They were speaking of building a new stadium, planning to move to Northampton for the next 3-5 years, but now are expected to go through liquidation process that will see at least part of the club gone. New owners of Coventry City, Otium Entertainment (connected to previous owners SISU, hedge fund blamed for destroying the club by many fans) are in a deadlock now as Arena Coventry Limited decided to refuse the Company Voluntary Agreement. 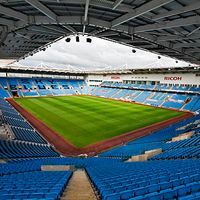 ACL are the main creditor of City, who haven't paid their Ricoh Arena rent for a over a year and recently refused to play there in any circumstances, even free of any rent obligations. The club's unclear intentions and attempts to relocate outside of Coventry were met with outrage by fans. There can be no surprise that some supporters of Sky Blues actually suggested for the CVA to be refused in order to get rid of the controversial owners and build the club anew. However, not all is lost for Otium as club administrator may draw new agreement proposals that ACL might accept. At least theoretically, as ACL seem sceptical over the ability to produce anything acceptable.